What a way to kick off the NASCAR season. Daytona Speedweeks had it all. Great racing, crashes, surprises, records and the return of the No. 3 to Victory Lane. Daytona International Speedway was the site of the opening races for NASCAR’s top-three national touring series Feb. 16-18. The Truck Series race saw championship contender Johnny Sauter come away victorious on Friday night. 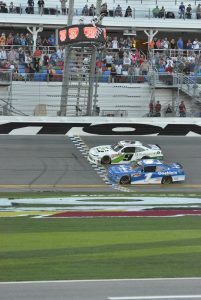 On Saturday, the closest finish in NASCAR history took place when Tyler Reddick edged Elliott Sadler at the line. NASCAR had to place the margin of victory into the ten-thousandth decimal place for a difference of 0.0004 seconds. 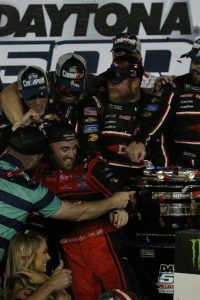 And, for the first time since 1998 and 17 years to the date of the death of Dale Earnhardt, Austin Dillon drove the No. 3 car to victory with what fans have been calling a controversial last-lap move on leader Aric Almirola. I got to work with some of the best reporters and photographers in the business this weekend, and I think our work showed for it. Two of us (including myself) on our four-man team were from Grants, New Mexico. One of our photographers, Franklin Romero, is a high school teacher and the lead sports writer/photographer for the Cibola Citizen, the local publication in Grants. Frank has covered a lot of events, locally and professionally, so to work with him was a great experience. I had been to Daytona Beach, Florida before, but this was Frank’s first time. Frank did his homework before coming to the track, and it paid off. From learning car numbers or what techniques he would try to use with his camera, the photos he was able to get captured the whole weekend. He photographed crashes from all three races, as well as moments that will live on forever in a photo, like the Reddick-Sadler finish and Dillon celebrating with his team in Victory Lane. 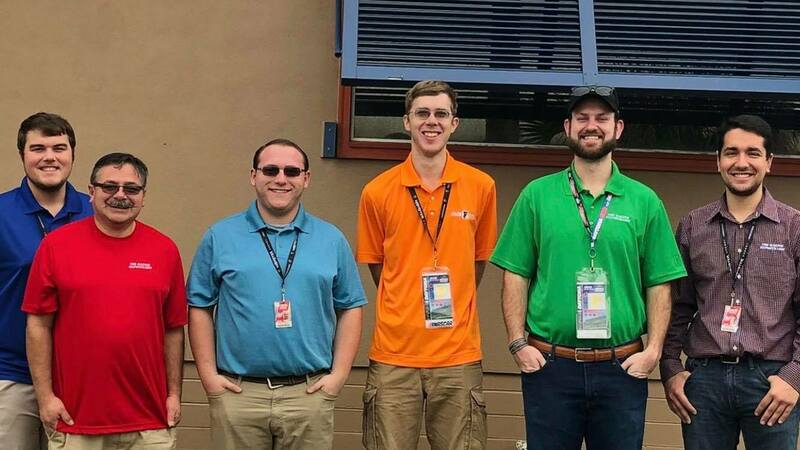 We were standing together on pit road Saturday during all of the chaos of the five overtimes in the NASCAR Xfinity Series race. When the cars finally took the white flag, and Reddick and Sadler were closing in on the checkered side-by-side, I knew it was going to be close. It was so close that I couldn’t tell who crossed the line first. I had to wait for the public address announcer to reveal who won. But Frank’s camera had the answer, too. He showed me from the screen of his camera the shot of the cars right at the moment of victory. The million dollar shot. And then, to be there for the 60th running of The Great American Race was something special. We were told the race was sold out the day before. But when I looked up at the grandstands before the singing of the national anthem on Sunday, I was in awe at how many people were near their seats ready to kick off another year of NASCAR racing. I spent most of the day trying to help our team with what are called sidebars: stories that aren’t the main headline but are also noteworthy throughout the day. I spent the race in the infield of the track, working out of the media center. 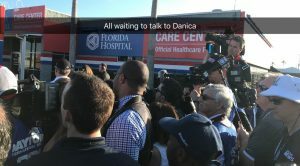 When the crash that took out Danica Patrick occurred, many members of the media, including myself, got up from our seat and headed quickly to the infield care center in hopes of being able to track her down for one final quote as a NASCAR driver. One more chance to talk to her about her take on the accident. Unfortunately, as you can see from the photo with the Snapchat caption, there were so many people, not everyone got to ask her a question. As the race wound down, our other reporter and I made our way to pit road to watch the final laps. 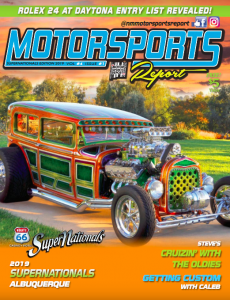 The cars would pass along the frontstretch, and when they were no longer in sight, we would turn 180 degrees to watch the action unfold on the track’s massive screens. We were standing in the now-vacated pit area next to Almirola’s team, one that had earlier in the day belonged to Daniel Suarez’s team before a crash eliminated him from the race. Almirola’s crew’s reactions said it all without ever being able to make out their words. Their No. 10 car was leading the race on the last lap of the Daytona 500. The crew members looked anxious as their driver tried to hold off the others for 2.5 more miles. As Almirola threw a block on a hard-charging Austin Dillon down the backstretch, his car was turned going into Turn 3, wiping his chance of victory in the first race with a new team. The dejected crew threw their hands in the air. They were all, no question, disappointed and heartbroken about the way their race was ending. As the race stayed green and the cars came out of Turn 4 for the final time, seeing the No. 3 car come to the line first and hearing the crowd roaring will be one of the highlights of the 2018 season, and one talked about for a very long time. Was it a racing deal? Was it a dirty move? It was the last lap of the Daytona 500. The Daytona 500 race weekend is an experience any fan of professional sports should put on their bucket list. This is the equivalent of the Super Bowl, World Series or NBA Finals. 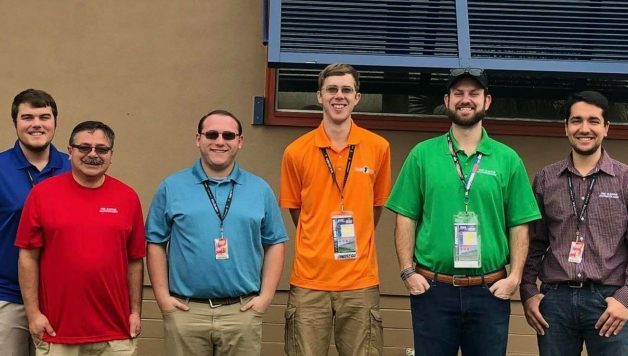 To be able to represent New Mexico among the media at NASCAR’s largest event is something our team has always taken a lot of pride in. We will continue to document and follow the action throughout the season all the way to the championship finale at Homestead-Miami Speedway.